Hightide is an exciting design publication featuring a breadth of Queensland designers and their works from the past decade: 2002—2012. Twenty-two prominent designers are featured in this visually stunning presentation of the best in contemporary industrial, furniture and object designers. Also included are in-depth essays by local and national designers and writers who share their thoughts, musings, and opinions on the unique landscape of the Australian design scene. Why are piggy banks so negative and boring? The Addi+ion piggy bank aims to change the traditional concepts of the porcelain moneybox. Positivity and growth are key themes for this innovative little piggy bank. Coins are easily inserted through the “+” shaped money slot which reinforces the concept of saving money and adding wealth. Once a layer is filled with saved coins, the Addi+ion piggy bank has the ability to grow and expand and extra two layers providing extra savings capacity. As the bank grows in size it visually, emotionally and positively reinforces the act of saving money. When no more money can be added, the bank can be flipped over, snap in cover removed and the saver rewarded with their capital growth! Not to be too stereotypical, but Design Director Neil Davidson, as an Australian designer, found himself collecting beautifully designed beer cans such as those from Japanese brewers Sapporo and Asahi. Their packaging solutions reflect his principles of design in terms of clean and sophisticated form, premium materials and finishes complimented by a strong yet refined graphic communication. As a result of this appreciation he selected a large Asahi Super Dry beer can for his One Can project. 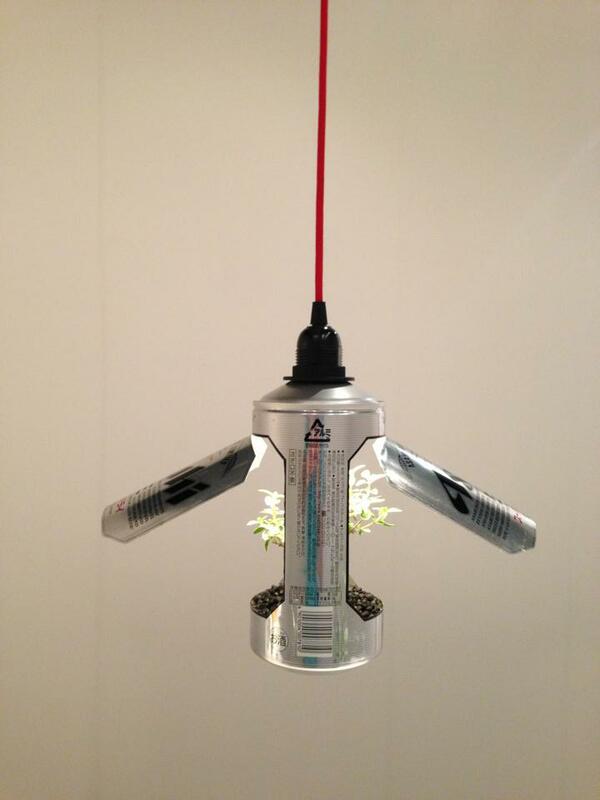 The can has been creatively re-purposed as sophisticated and stylish interior feature pendant light. The concept inspiration for the light came from playing a mental game of opposites when thinking about his life and how beer fits into it. Neil drank the Asahi can of beer during a BBQ in his garden outside by the pool. This made him consider the conceptual opposite - what if the garden was inside the beer can? Or even further still - what if the beer can was inside the house and what useful object could my Beer Can Garden provide inside the house? 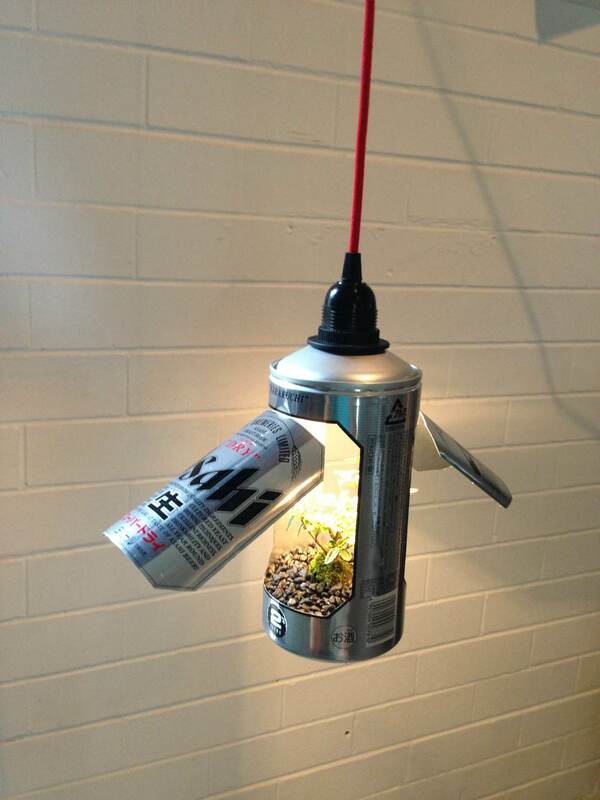 It did not take long for the concept resolved itself his mind - a Beer Can with a mini Bonsai garden placed inside with a feature pendant globe to provide light for the room and to help sustain the little bonsai tree! The 'genius' name 'Beersai' came after consumption of a few more...yes beers!